While C4’s 10th Anniversary makes us excited to see what lies ahead in the future, we also want to take the time to celebrate our past, by announcing return appearances by some of our favorite guests of the past ten years. This morning, we’re doing JUST that, by welcoming K Lynn Smith to C4 2018! K Lynn Smith is an artist and writer from the Mid-Michigan area. In 2006, her artwork won the Michigan Press Award, as well as the Helen Victoria Haynes World Peace Cartoon Contest. 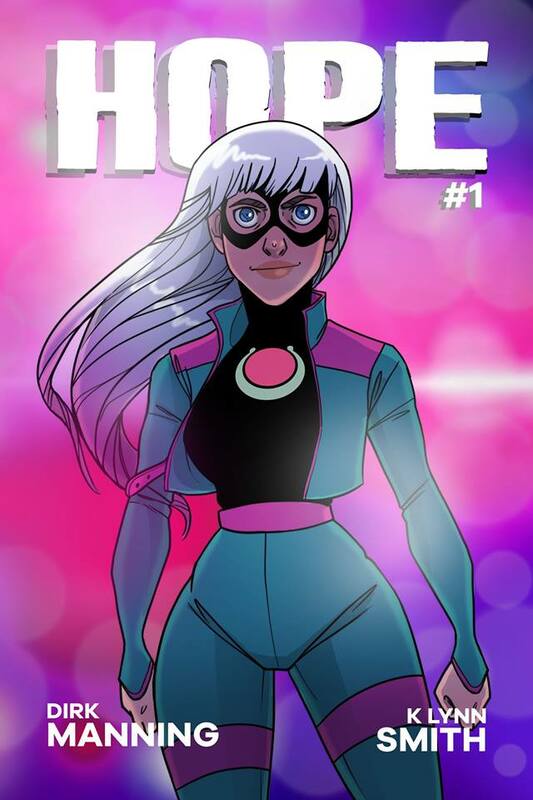 She is the writer and artist of the western webcomic PLUME, published by Devil’s Due Entertainment, and has been involved with projects such as GARFIELD, Bill Willingham’s LARK’S KILLER, the Strength in Numbers Studios’s video game, TUEBOR, and the brand new superhero series HOPE.